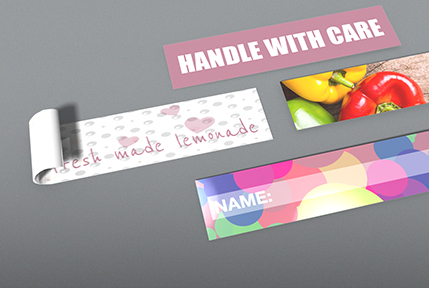 Make your slogan come alive – with our rectangular stickers printed on 80gsm self-adhesive paper! 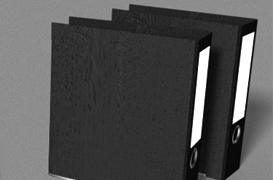 Choose from a range of popular DIN formats from A4 to A8, plus squares in various sizes. 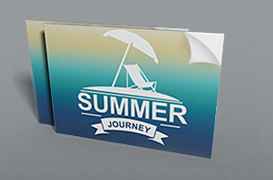 They’re printed in full colour on one side against a white background for striking effect. 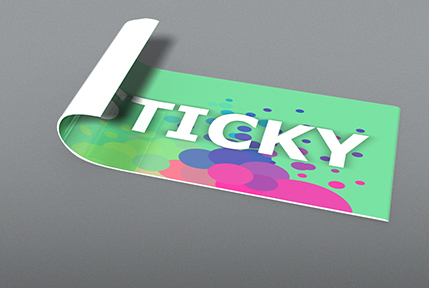 For a truly unique impression, we recommend our transparent stickers: there’s no better way to catch everyone’s eye and rivet their attention to your graphics, logos and message. 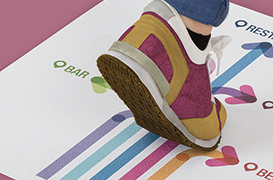 We print them in full colour on one side of a rectangular piece of 53gsm self-adhesive polyethylene foil. The size and format are up to you: you can choose from A6 to A8, plus DL and two square versions. Ensure an extra-special event with our die cut shapes! Logos and slogans really stand out on a round, heart-shaped or square field. 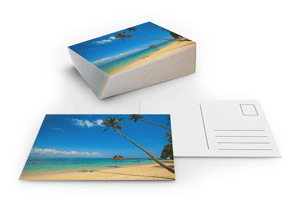 We print them on white self-adhesive paper or plastic foil that can be used indoors or outdoors, just as you please. Do you have more than usual to say? 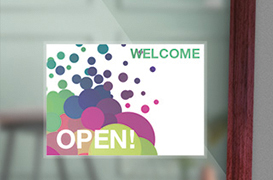 If so, our elongated rectangular stickers for indoor and outdoor use are just right for you! Available in various sizes, they have more than enough room for names, a logo and a slogan. 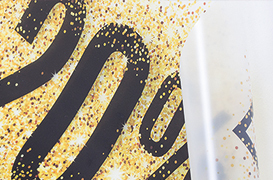 We print them in full colour on onside on self-adhesive transparent 53gsm plastic foil or white 80gsm paper to make sure that your message gets across. 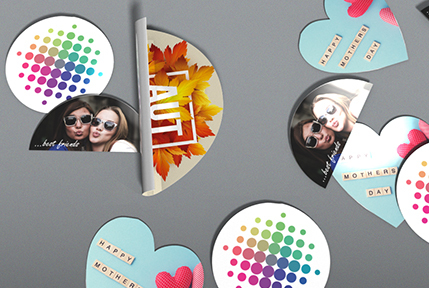 By printing your design on transparent stickers puts your text and images at the centre of attention. 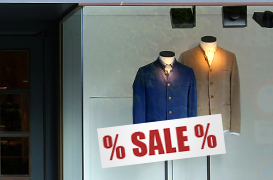 Free from white contours, your logo, brand or slogan displays all its assets. Our range of stickers and the widest range ever seen... You can find white stickers, transparent stickers, stickers of different shapes, and more... And... at the best price! 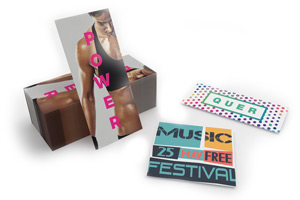 No matter which of these glorious formats you choose, we always print your transparent stickers in full colour on transparent polyethylene self-adhesive foil with a weight of 53gsm. It is relatively weatherproof and permanently adhesive. This makes sure that your image sticks both to the chosen surface and in people’s memory. 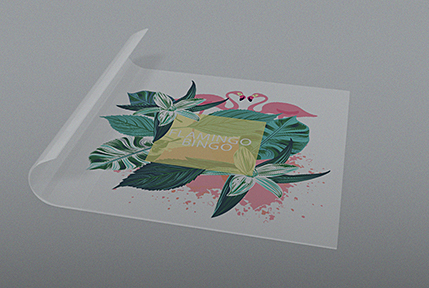 If you’ve ever wondered why so many customers have us print their transparent stickers, it’s partly because of the quality which we reliably supply in quantities of up to 1000. And partly because of how we respond if the quality is ever not quite up to par. Our customers know that if there are any problems we will offer them a satisfactory solution or even give them their money back in the case of a first order. At the latest six days after sending us your data, you have your freshly printed transparent stickers in front of you. And that’s only our Standard service. For rush jobs, we recommend our Express service with delivery within five working days or our SameDay option with printing and delivery in four days. 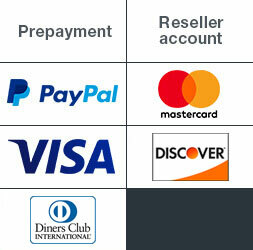 Not many printers can compete with us here – and especially not without charging extra for shipping. We don’t, because it’s included in the price of production. That means that you benefit twice from our speed: by saving both time and money.